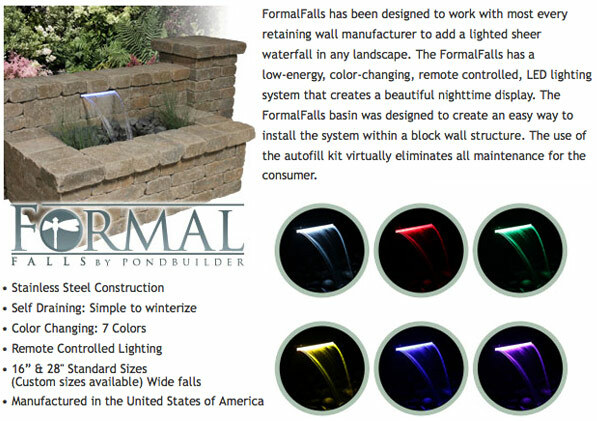 FormalFalls has been designed to work with most every retaining wall manufacturer to add a lighted sheer waterfall in any landscape. The FormalFalls has a low-energy, color-changing, remote controlled, LED lighting system that creates a beautiful nighttime display. The FormalFalls basin was designed to create an easy way to install the system within a block wall structure.